Axure Share Enterprise requires both a web server and a database server. Installation steps must be performed for both servers. The installations can be performed simultaneously or separately (useful when there is a database administrator handling the provisioning and installation of the database and a separate system administrator). By default, installation of the web service will walk you through setting up the database server, but it can also detect if the database server has already been set up. If the machine that you are installing to already has Microsoft IIS installed, the “Default Web Site” web application must exist (and must be created) and will be overwritten. If the web application is being created, please configure it to run with an AppPool that runs under the “NetworkService” account. 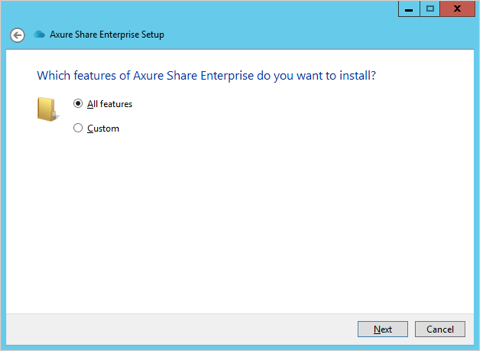 To begin installing Axure Share Enterprise, download and run the installer available from the Download Axure Share Enterprise page. An optional first step will install required tools if they are not already on the machine. If this step is performed, you'll need to restart the machine to complete their installation. The Axure Share Server Manager will resume where it left off after the restart. This screen helps to determine which features will get installed. To configure the database server and the web server at once, choose "All features". To initialize the database server from another computer, choose "Custom" here. All options are selected by default. 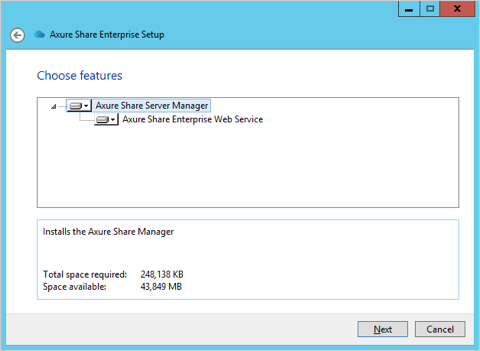 To install only the Axure Share Server Manager, deselect "Axure Share Enterprise Web Service". 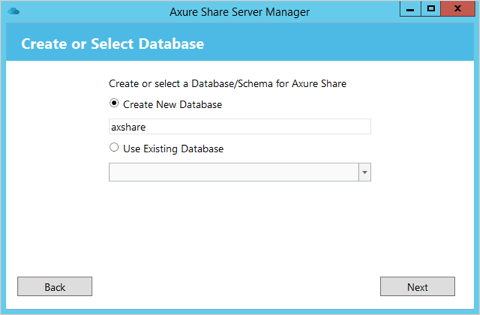 Upon completing these selections, the Axure Share Server Manager will launch. It will help you set up both the web server and the database server if you chose to install them at the same time. To begin the Axure Share database setup, enter the hostname for the server along with a database user with administrative rights to the server. This is generally "root" for MySQL and "sa" for Microsoft SQL Server. If you're installing with SQL Server Express, it's generally configured with an instance name (defaulted to SQLExpress) which can be specified as shown above, with a "\SQLExpress" appended to the host name. The user should have the necessary permissions to create tables and functions. Note that it is required that you install SQL Server with mixed mode authentication ("SQL Server and Windows Authentication mode"). If you are configuring the database for the first time, choose "Create a New Database". Click "Next", and the Axure Share database tables will be created and a progress bar will be displayed. If you have been provisioned a specific Database (SQL Server) or Schema (MySQL) then you can choose "Use Existing Database". Axure Share Server Manager will detect if any updates need to be made to the database. Clicking "Next" will take you to a screen that will indicate whether the Axure Share Enterprise database has already been initialized. Click "Next" again to continue. 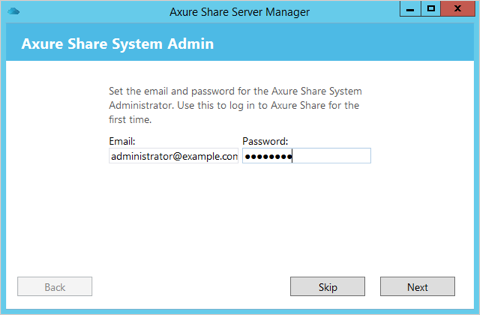 If the system you are running on has the Axure Share web service installed, the next step allows you to enter an email and password for the Axure Share Enterprise system administrator. This is the main administrative account and can create other administrators and users as well as access specific global system settings. An email and password must be provided during this step. 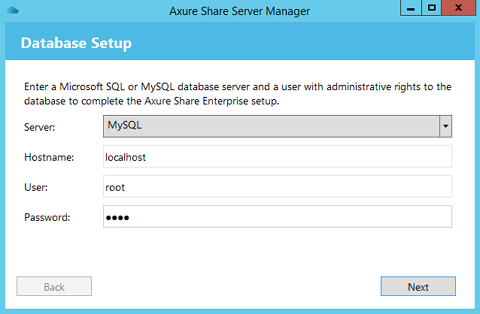 These credentials will be used to log in to the installed Axure Share Enterprise system. It is recommended that you use a valid email address. This should be an administrator's email account e.g. <IT@example.com>. Axure Share stores both *.rp files and the generated prototype files on the filesystem. This is generally located on the web server. The Axure Share generator also uses this folder for intermediate files created during generation. The default location is the %SYSTEMROOT%\ProgramData\AxureShare\data folder. 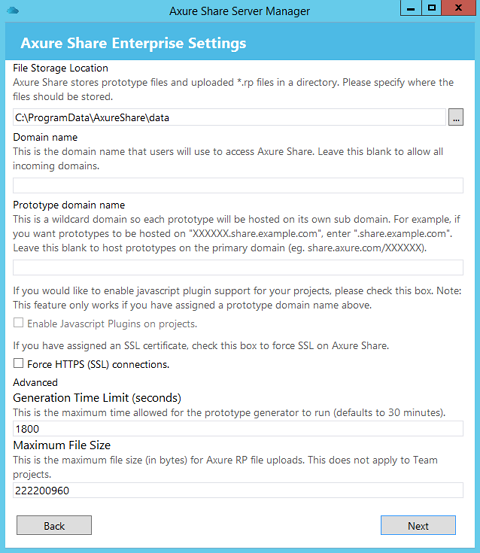 The final screen is used to configure the Axure Share Enterprise system settings. Once a domain has been associated with the web server, it is recommended that the mapped domain be entered here. 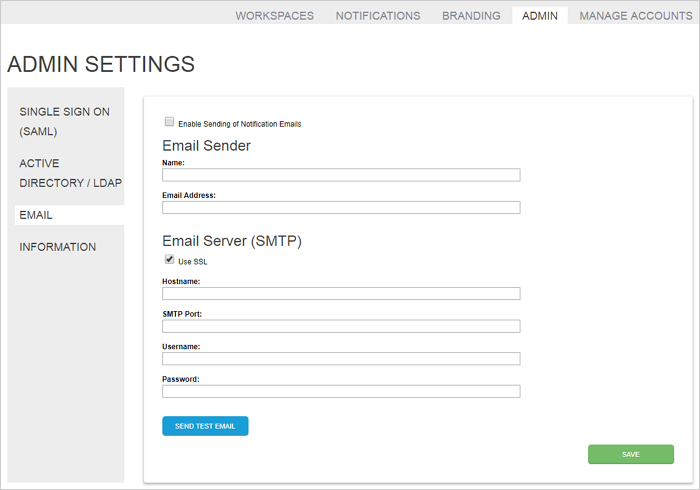 This will be used by Axure Share when sending out emails and for navigating the system. If you set a domain, you can only connect using that domain. This is an optional domain that requires wildcard domain mapping to host each prototype on its own sub domain. For example, if this domain is set to ".share.example.com", prototypes will be hosted at URLs like XXXXXX.share.example.com, where XXXXXX will be replaced by the unique six-digit code for each prototype. Checking this box will require SSL connections to the Axure Share site. If a user requests an http URL, the user will be redirected to an https URL for that same prototype. To learn how to add users, visit the Axure Share Enterprise Accounts and Permissions article. To configure Axure RP to point to your server, read the Axure Share Enterprise User Guide. 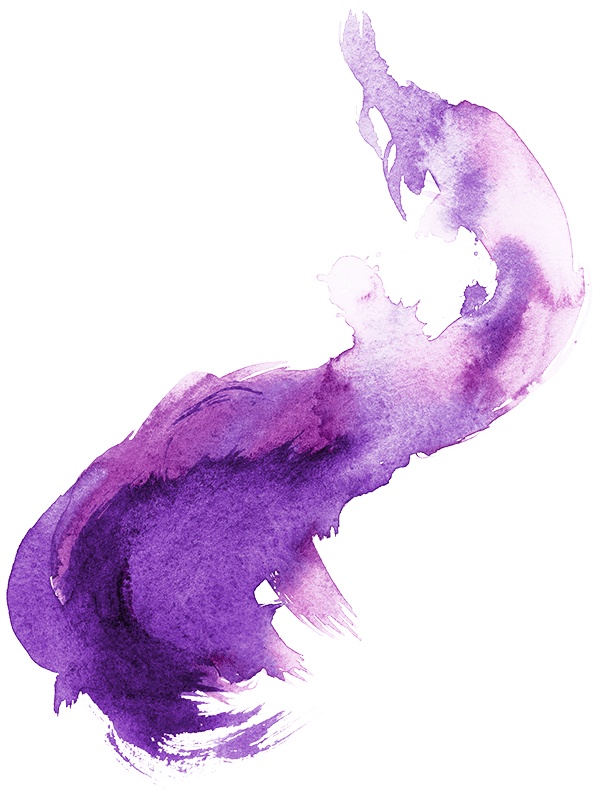 If this field is left empty, prototypes will be hosted on the domain specified above or, if that is left blank, the incoming domain (for example, share.example.com/XXXXXX). You'll need to set a domain in order to set a prototype domain. After completing the steps above, click "Next" to finish the setup and browse to the Axure Share web server. Setup is now complete! Note: It is also possible to install the web server and the database server on the same machine. 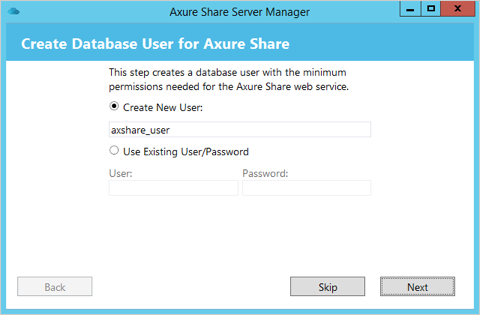 If the Axure Share Server Manager is being run on a computer that does not have the Axure Share Enterprise web service installed, the Manager will display the password for this newly-created database user. The username and password can then be used when configuring the web service. Axure Share Enterprise users may request email notifications on their projects, and they can request a password reset email if they forget their password. In order for these services to work, you'll need to provide the ASE server an email address that it can use to send emails. We recommend doing so. In your web browser, browse to the server's web interface (the domain you set up in the steps above) and log in. Then, click "Admin" and go to the "Email" tab. This is the sender name and email address that should appear as the sender on the emails sent by the system. This is the SMTP server along with the associated port (if applicable, to the right of the colon) as well as the username and password for an account on the SMTP server used for sending notification emails.